I have fond memories of snorkeling in the ocean and viewing the coral reefs at a number of tropical locations. This pattern reminds me of the shapes, textures, and beautiful colors of a coral reef. 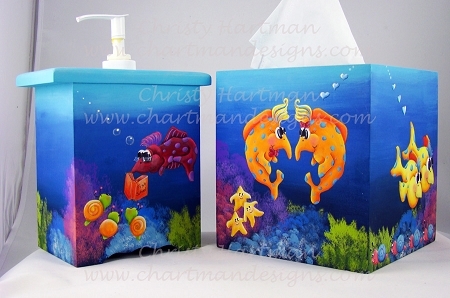 This pattern is painted on a tissue box cover and a liquid soap dispenser cover. 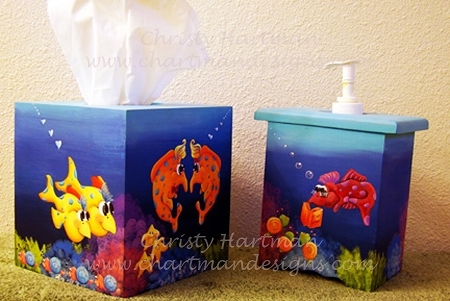 I've displayed these in an ocean themed bathroom but I could see these painted on ornaments, bookmarks, canvases or a variety of different surfaces. 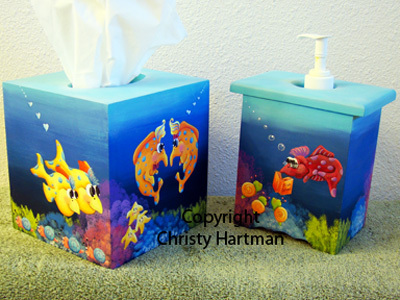 If you have someone in your life that is a Dory fan or Finding Nemo, these would be a great option. You are purchasing an E-Pattern and once payment has been verified you will receive an email with instructions to download the pattern. Look on the homepage for downloading instructions should you have a problem.